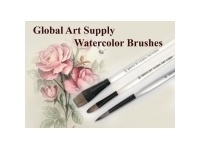 High Quality Brushes means they last longer and make painting easier. Sometimes it is the brush! 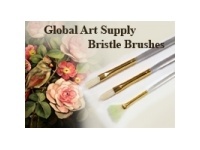 These all new high quality synthetic brushes by Global Art® are made in the USA. This new synthetic fiber is formulated to last longer and give you high quality artistic results. All brushes are backed by a 100% manufactures guarantee, if your brush gives you a problem; we will replace it at no cost. 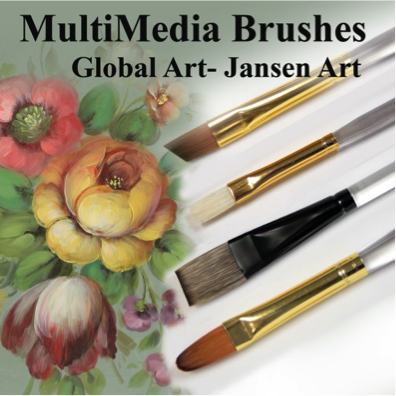 The new Global Art® line also features new clear acrylic handles. This also increases brush life. No more splitting wooden handles!! !